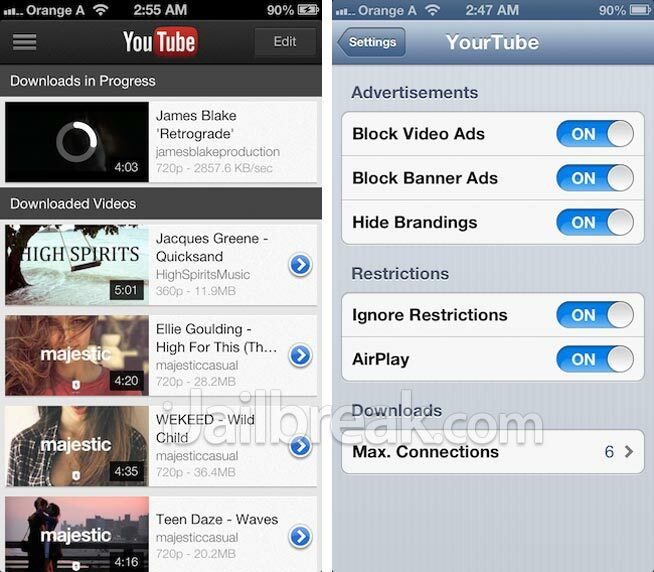 If you are someone who watches YouTube videos on a regular basis and want a quick and reliable way to download YouTube videos directly to your iPhone, iPod Touch or iPad, then you will be glad to know YourTube, developed by CocoaNuts, has been updated for iOS 6. YourTube doesn’t just allow you to download YouTube videos however, it opens up the ability to hide annoying advertisements and even watch region-locked videos. Better yet, with YourTube for iOS6, any videos you download can also be imported into either the Music app or the Videos app. This way you will not only be able to watch or listen to downloaded content through stock iOS apps, but it will get synced back to your iTunes library. This is very convenient, as it means you don’t need to mess around trying to find the directory downloaded media is stored to using a file browsing application. If you owned previous versions of YourTube you will be glad to know the update to YourTube for iOS6 is free of charge. New users can purchase YourTube for $3.99 for the first three days. If I remember correctly, YourTube hit Cydia yesterday, so at the time of writing this article you have two more days to take advantage of the introductory pricing. You can find YourTube for iOS 6 in the BigBoss repo. Let us know what you think of it in the comments section. This is actually a better option than Protube and Bridge in my opinion. Right now Bridge can only transfer Podcasts to your computer. CocoaNuts is saying they are working on a way to let users modify the type and change the title, artist, album and other metadata. Hoping to release that in the upcoming weekend!